The Asscher cut diamond is a derivative of an emerald cut diamond. The shape is square with cropped corners. When peering into the stone, the consumer will view a series of parallel steps. Many individuals describe the appearance similar to a hall of mirrors. Consumers seeking to impress their significant other often pursue a diamond with small tables and steep crown angles. This particular stone creates more fire than most of the diamonds and also more internal refraction. The Asscher cut diamond was created in Amsterdam, Holland by the Asscher Brothers in 1902. During the 1920s, the style was a popular engagement style. The Asscher cut is patented and is denoted by the Asscher family insignia in the girdle of the stone. Consumers purchasing an Asscher cut should verify the authenticity of the diamond before purchasing the diamond. Asscher cut diamonds are rare, but are gaining popularity. One of the most famous Asscher cut diamonds is a part of the British collection. The Cullinan Diamond is a 3,015 carat diamond and considered one of the most exquisite diamonds in the world. As more celebrities begin to wear the diamonds in public and in movies, many individuals have begun to request the cut more frequently. However, the diamonds are considerably smaller than Cullinan Diamond. For engagement rings, Asscher cut diamonds are impressive for the recipient. This particular cut of diamond is found in many art deco style engagement rings. Modern cut Asscher diamonds possess 74 facets in a finished stone. Vintage Asscher cuts possess a deep cutlet. The cutlet may be found at the base of the diamond. A deep cutlet will produce a stone with amazing clarity. Significant advancements have been made in stone cutting. Vintage Asscher stones may not possess the precision of cuts that modern stones possess. Older stones feature deeply beveled corners. Modern Asscher cuts sparkle more because of the precision of the advanced cutting technology. Because of the multiple steps in the Asscher cut, flaws and inclusions are more easily noticed. Therefore, it is important to purchase a diamond that has high clarity. Clarity ratings range from “F” to “SI.” The “F” stands for flawless, and the “SI” stands for Slightly Included. Flawless diamonds have no visible flaws under a 10x magnification. Slightly Included diamonds have visible flaws under a 10x magnification. Some diamonds are classified as an “I” and possess inclusions that are visible with the naked eye. Experts do not recommend buying an Asscher cut diamond that possesses an Included, Slightly Included, and in some instances, Very Slightly Included. Flaws are easily detected in this type of diamond because the table is large and flat. Therefore, consumers should try to purchase an Asscher diamond that is Very Very Slightly Included, Internally Flawless, or Flawless. Asscher cut diamonds with this type of clarity will be certain to impress your sweetheart when the ring is presented. Carat describes the size of the diamond. In this instance, the cut is Asscher cut, which is described above. Clarity ranges from Flawless to Slightly Included. This describes the number of inclusions found in the diamond or on the surface of the diamond. Color ranges from “D” to “X”. However, “D” through “F” diamonds are the most desirable diamonds. Diamonds that are rated a “D” through “F” are referred to as Colorless and desirable. Diamonds rated “G” through “I” are Near Colorless. Most untrained individuals cannot detect the color in the diamond. When purchasing an Asscher cut diamond, clarity and color will be important factors in creating the sparkle and awe factor that potential fiancés desire. Cut is another important factor. “Ideal” is the best cut for the Asscher diamond. However, Very Good and Good are also acceptable. These factors will also be major determinants in the price of the diamond. Carat size will also be a determinant in the price. However, a large Asscher cut diamond that is Near Colorless with flaws may be comparable in price to a smaller carat Asscher cut diamond that is Flawless and Colorless. Diamonds should also possess brilliance, which describes the brightness of the diamond and the contrast. Diamonds that reflect an abundance of light are desirable. Scintillation describes how the diamond sparkles in the light. Fire is also a component to scintillation. Most commonly a four pronged setting is preferred with the Asscher cut engagement ring. Experts recommend that the stone be elevated to improve the light reflected from the diamond. Many experts recommend the pave setting. This setting includes a ring of diamonds around the primary Asscher cut stone. However, the natural beauty of an Asscher cut diamond is stunning without any additional embellishments. Platinum is preferred by many brides. However, fiancés should determine the skin tone of your fiancé and select the diamond that best complements her skin tone or preference. Notice how the prices change significantly with the clarity of the diamond. Clarity affects the price more when comparing diamonds of a similar color category. Most importantly be certain that the flaws cannot be detected easily under 10x magnification as this will significantly reduce the value of the diamond over time. Polish and symmetry also affect the price of the diamond. The diamond should also be verified by the Gemological Institute of America (GIA). This will certify that the diamond is the cut, clarity, carat, and cut that the jeweler has specified. This information is also important for establishing value for insurance coverage. The top places to purchase diamonds in the United States are in the diamond districts of major cities, such as New York or Chicago. Local jewelers also carry quality diamonds. 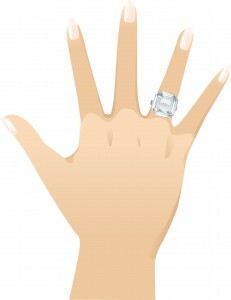 Depending upon the budget of your fiancé, the individual may chose to purchase a diamond in Amsterdam or South Africa. Many individuals are now more socially conscious when making a diamond purchase. Therefore, if the diamond is purchased from a South African source, be certain the diamond is conflict free. Only high quality jewelers carry the Asscher cut diamond because of its rarity. Therefore, potential fiancés should locate several jewelers who carry the diamond and then perform a price comparison. Round brilliant diamonds are the most common type of diamond cut. This diamond is generally less expensive because consumers may purchase the diamond in a variety of colors and with more flaws because of the cut. The table is smaller than the Asscher cut diamond. Therefore, flaws are less visible. The Asscher cut diamond exposes nearly every flaw to the consumer. This type of diamond must be selected with a higher color grade and the least flaws in order to display its brilliance. Asscher cut diamonds are more expensive than their round brilliant counterparts with the same specifications. Consumers buying an Asscher cut diamond must understand the diamond selection process in order to know which of the 4 Cs to sacrifice in order to save money. Because of precision cutting tools, the cut may vary from Ideal to Good. The color and clarity are the most important. Colorless diamonds are the best choices. However, an “H” color Asscher cut diamond may be acceptable to save money. Clarity is probably even more important than color in the selection of the Asscher cut diamond. Try to purchase a diamond that ranges from Flawless to Very Slightly Included. Unfortunately, typical mall retail jewelry stores do not carry high quality diamonds. 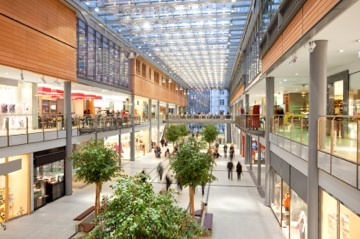 Upscale malls may have specialty diamond stores that carry quality Asscher cut diamonds. Wholesale diamond dealers that sell loose diamonds are probably the best way to obtain a deal on a diamond. Buy the diamond loose and then visit a local jeweler for the setting. The setting can always be upgraded in the future, but the diamond is the most important aspect of the engagement ring. Visiting an area that possesses a large volume of diamonds will increase the consumer’s likelihood of finding a quality Asscher cut diamond ring for less. However, this particular cut of diamond is rare and requires maintenance of high standards. Nothing will express your feelings for your sweetheart more than an Asscher cut diamond. The diamond itself is rare and requires near flawless inclusions to display its brilliance. Giving your sweetheart an Asscher cut diamond will express to her that you feel that she is rare and unique. The diamond will express the openness of the relationship and flawlessness of her character in your eyes. During the proposal, present the diamond in a setting where its brilliance will be displayed. Though low lighting is romantic, try presenting the Asscher cut diamond in light where the fire of the diamond will show and sparkle. This will impress your fiancé and increase the awe factor of the proposal.